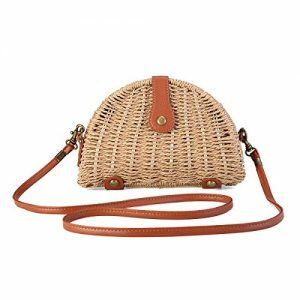 ‘Tis the season for straw bags and boy is it ever my favorite season of all time! Things I don’t love….their price tag! 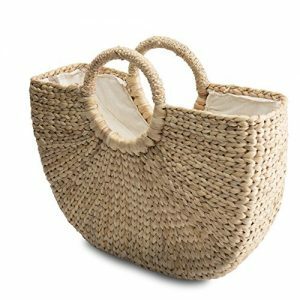 Today I’m sharing my favorite straw bags from Amazon and they are all under $50 – now that is something I can get behind! Fashion doesn’t need to be a luxury all the time, so spoil yourself with some bags for Summer that won’t break the bank! Who doesn’t love a handsfree bag right? My favorite component about these three shoulder bags is their ability to be thrown on and worn with just about anything! 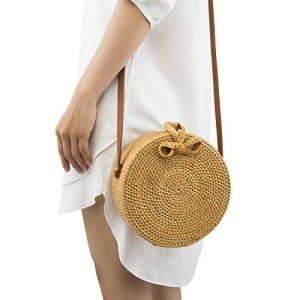 This Straw Shoulder Bag has such a unique / adorable shape – it has this luxe Almalfi Coast thing going on, but is only $21! Winning! 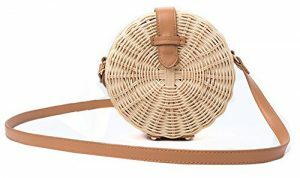 Similar to the first one, I love the shape of this bag – round is obviously the most common, but this is a great way to showcase a trendy piece…and for $23! 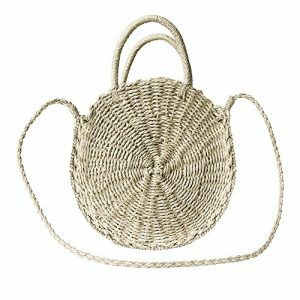 Finally, this round basket bag, is one of MY favorites – see how I styled it here and here. I originally bought it from J.Crew for $150 and you can now shop it here for SO MUCH LESS! Ok, so I’m sure you are very familiar with the Cult Gaia bag that nearly every human on this planet has. Well, now you can have it too, but for the a fraction the price. 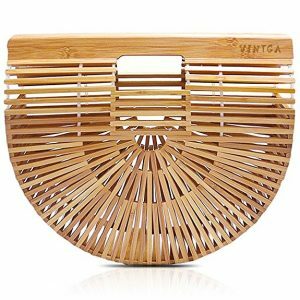 This Cult Gaia look-a-like is $50 and completely worth the investment – I find myself wearing this bag from Spring to Summer for any and all occasions! 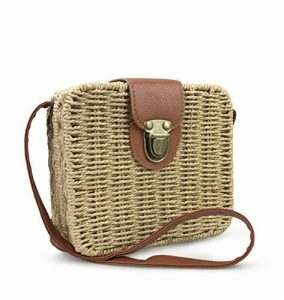 On to the next top handle bag, this woven bag is the perfect vacation accessory – it’s great for a beach trip or just a trip to the pool! I love a bag that can carry all my sunscreen, magazines, towels and then some! Don’t you? 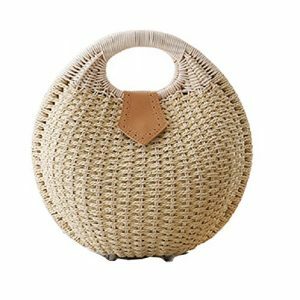 I love a good beach bag with some poms and this Mar Y Sol look-a-like is just perfection – this is one of those bags you can take to the beach or for a night out. It has that versatility to be dressed up and / or down! Aside from the round version I shared at the top of the post, this round shoulder bag is by FAR one of my favorites! Wicker stain is just perfection and is great to pair with a summer night look – doesn’t this bag just make you want to go to Italy for the Summer? 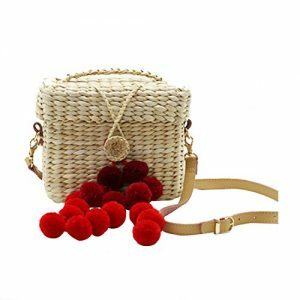 If you are looking for a uniquely snapped summer bag, you can’t go wrong with this woven handle bag! The bag itself has a little more structure and shape than most woven bags, which makes it more durable! Last and certainly not least, this shoulder and top handle bag is probably your most common and go-to bag for the summer. It has great versatility and is functional for just about everything!